On behalf of the Board of Governors and Search Committee of St. Joseph's Institution - International in Singapore, we are pleased to announce that Roisin Paul has been appointed High School Principal beginning in August 2020. Roisin is currently the Founding Executive Headteacher of Chorus Education Trust, comprising of Silverdale School, Westfield School, Sheffield Teaching School Alliance and the Modern Foreign Language Institute in Sheffield, England where she has served since 2013. Ms. Paul led Silverdale Schools to an "Outstanding" Ofsted judgement in 2014, with the school being awarded Top State School in the North 2018 by the Sunday Times. She helped to create and grow its' very successful teaching school, which annually trains over 100 teachers and provides professional development to over 50 primary, secondary and special schools in South Yorkshire and Derbyshire, and more recently launched the National Modern Languages Institute. 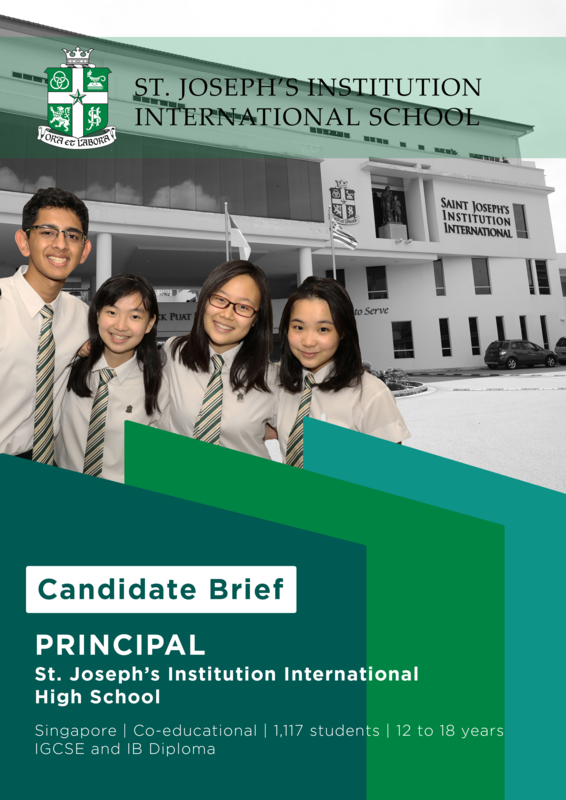 The St. Joseph's Institution - International Board of Governors, the Search Committee and Search Associates would like to thank all candidates who expressed interest in the High School Principal position and to everyone who assisted and supported the search process.